Why is My Screensaver Asking for a Password, and How Do I Fix That? - Ask Leo! Why is My Screensaver Asking for a Password, and How Do I Fix That? On returning from a screen saver, Windows can ask for a password. That's a security measure that can be turned off - but be sure first. I’ve been using a screen saver for years. I used to be able to just move my mouse and get back to my desktop. However, now when I move my mouse, it takes me back to the ‘Welcome Screen’ and I have to enter my password again. How do I undo that? It’s easy to fix, but it’s also an important aspect of security. First I’ll make an argument for not changing it. Then I’ll show you how. 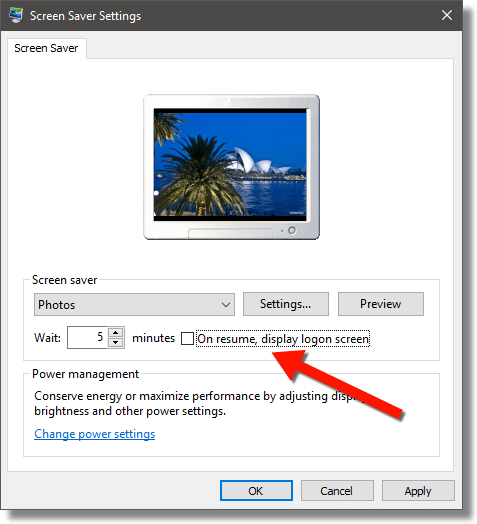 If you’re in any kind of a situation where others can easily access your machine, a password-protected screen saver is a security feature I believe you really want to use. Many years ago, my manager at the time was working on our performance evaluations, including salaries and raises. At one point he was called away from his office while working on the evaluation spreadsheet. Not only did he leave the information on his screen – a bad move by itself – but even after the screensaver kicked in, anyone walking past his desk and (even accidentally) moving the mouse just a little would restore access to that screen of sensitive information. The solution, of course, was to enable password protection on his screensaver. That way, once it kicked in after a very short period of inactivity, the screen would not be displayed again until he came back and entered his password. It’s about much more than accidental access, however. Remember, while you’re logged in, anyone can walk up to your machine and do anything as if they were you. They can copy data, delete things, make posts on your behalf, or change passwords. Unfettered access to your computer means there’s really no limit to the havoc someone with malicious intent could cause. So, before you do what I’m about to tell you to do, consider whether or not you really want to do it. Do you really want your computer to be open and accessible to anyone walking by if you step away? Often times the answer really is yes, like it is for me here at home. As long as you’ve considered the risks, it’s an easy setting to change. 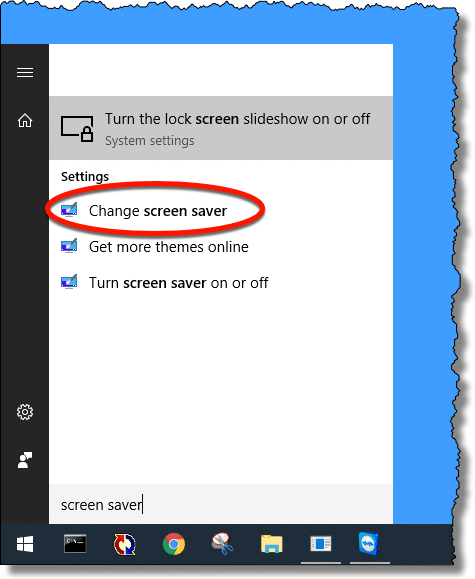 In Windows 10, click the Start button and type “screen saver” to search for the setting. Click on Change screen saver (not shown here). Make sure that “On resume, display logon screen” is unchecked. How do I log into Windows automatically? - This is a very common question. The answer’s a bit buried, but it’s actually quite simple. And for the most part, it applies not only to Windows 8, but Windows 10, Windows 7 and Windows Vista as well. You convinced me, I just followed the opposite of your instructions and enabled the screen saver password. Since I log in with a PIN, it takes about a second or two to type it in.